The presupposition that the Democrats will win enough seats in the Senate and House to reclaim control of Congress, and thereby thwart anything the President plans to do for the next few years, is widely held throughout the mainstream media. The “revenge of the Dems” is, in their eyes, a foregone conclusion, baked into the cake, a moot point that’s not even up for discussion anymore. Of course, these are the same media outlets that assumed Trump would lose in 2016… and that Brexit wouldn’t pass… I could keep going, but you get the idea. The Democrats, meanwhile are counting on a sweeping “blue wave” to put them into comeback mode after their devastating loss of the presidency. The problem for them is that what they’re “counting on” is based more on fake news than on solid evidence. The real battleground here isn’t between congressional candidates, but between the media and reality. When Trump opened a speech at a rally in Macon, Georgia on Sunday, he literally had to direct the camera operators to pan across the crowd to show how many people had shown up for the rally. He also pointed out that the “crowd goes way, way back into the field,” a fact that the press undoubtedly wouldn’t have reported without his prompting. It’s a pattern of non-reporting that the President has pointed out repeatedly. 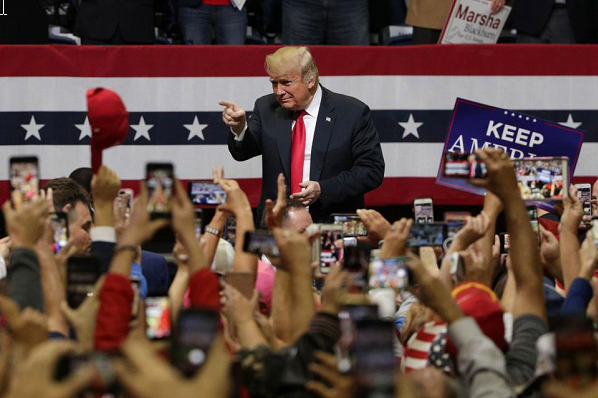 As he stated in Macon: “This is incredible… and I really wish the fake news media would show the crowds, because they don’t do it.” If the Dems are counting on anti-Trump sentiment to carry their leaders into Congress, they could be in for a rude awakening. Trump has been campaigning aggressively in a number of battleground jurisdictions of late, especially in states he won in 2016. His nonstop campaigning could be a game changer for these key midterm elections, as Trump (contrary to what’s typically reported in the press) has a historically high approval rating among voters who identify as Republicans. And there’s another (mostly unreported) headwind that the Dems will have to face: many of the demographic groups that often support the Democrats tend not to vote during midterm elections. In fact, the turnout during the midterm elections of 2014 was the lowest since World War II, and the few people who did vote were neither culturally nor economically diverse. Another key consideration is where the really close races are occurring. 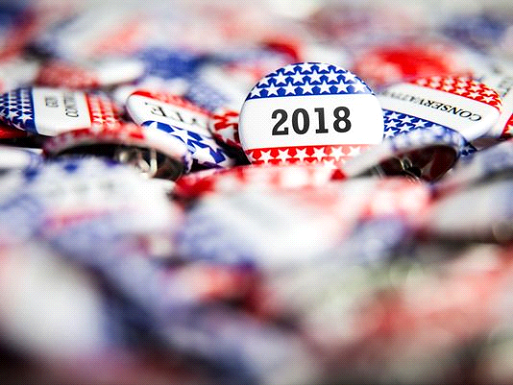 Geographically speaking, the tightest midterm elections are mainly grouped in rural states – and the American Midwest is still considered Trump country, where the President remains popular and voters show scarcely a sign of swinging to the other side. The Rust Belt has typically been ignored by the press and career politicians, but November of 2016 changed all of that and now all eyes are on the Midwestern states that will likely determine whether the President’s initiatives will have an easy or a tough time for the next few years. What will make or break these key elections is whether the voters are really in the mood for big changes right now. It’s too close to call at the moment, with polls showing congressional races in Indiana, Arizona, Missouri, Montana, Nevada, Texas, and Florida to be very tight, and even within the margin of error in some cases. A nation ready for big changes would likely have better polling numbers than that; if they’re going to sweep the midterms, the Democrats should have a clear lead by now. However this all turns out, Crush the Street will continue to report on the news – the real kind, not the fake news – as the midterm elections wend their way towards a final conclusion.